#MakerMonday: Black Magic Coffee Co. 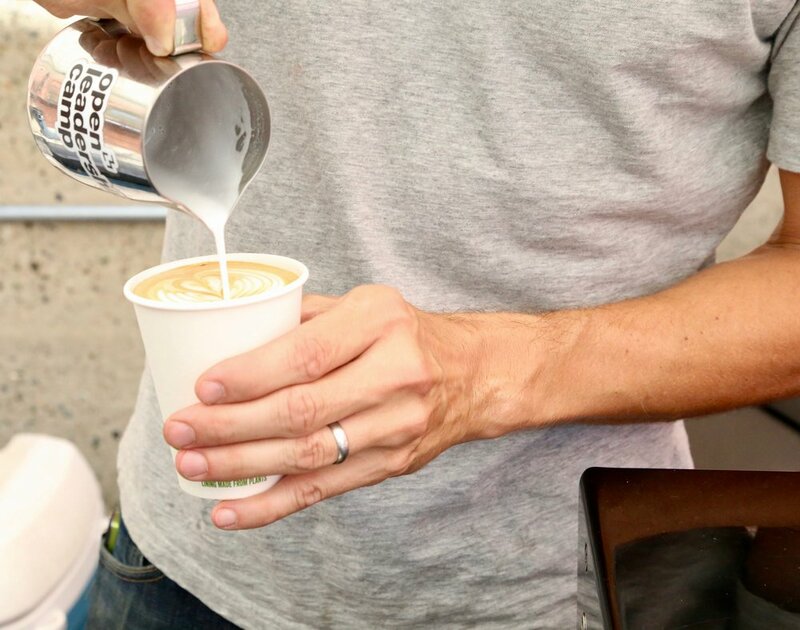 When heading to the SoWa Food Truck Bazaar the first thing you may notice is a small but mighty coffee cart serving up some of the highest quality espresso based drinks and perfectly crafted coffee. Black Magic Coffee Co. is manned by David Simon who you can find every Sunday at SoWa. If you're passionate about your coffee from start to finish, rest assured that Black Magic Coffee handpicks everything from who supplies their beans down to where they source their milk. Their menu is not expansive with syrups and trendy drinks specifically to focus on the quality of each drink and trust us, you'll taste the difference! Black Magic Coffee uses Thatcher Farm for their milk. What makes their local milk different from others is how it is pasteurized at low-temperature, which retains the milk's naturally sweet flavor and increased health benefits + it's just delicious. Not only can you find them at open markets but you can also book them for weddings, private parties and corporate events!